JNTUH Guidelines For backlog subjects: JNTU Hyderabad University has released certain Guidelines to Write number of attempts for clearing the backlog subjects. Sub: Certain guidelines write number of attempts for clearing the backlog subjects —Reg. The University had issued certain guidelines with regard to the number of attempts for clearing the backlog subjects. A copy of the University orders is attached herewith. All the Principals of the affiliated and constituent colleges are informed to note the same. In addition to the above said University proceedings, frequently asked questions (FAQs) are also enclosed to clarify the doubts of the Principals/students. Hence it is requested to create awareness among the students about the change in the procedure for conducting the examinations for the backlog subjects. 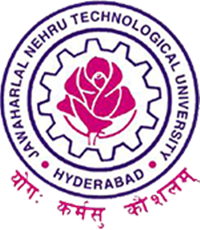 Sub:- JNTUH, Hyderabad — Academic & Planning — Fixing the number of attempts for writing supplementary exams – Approval orders — Issued. The University allows the students to pass the failed subjects and to complete their course within double the period of the course work plus two years or double the duration of the course work (as the case may be). Now it is proposed to conduct supplementary examinations in the failed subject only for five times, in addition to one regular attempt (total six attempts). If the student is unable to clear the subject in six attempts altogether, the student shall appear for the examination in the same subjects with the revised syllabus i.e, the syllabus of equivalent subjects prevailing for the regular students in that academic year. However if no subject with ‘similar title is offered in the current regulations, the examination shall be conducted in the failed subject with the syllabus which the student studied during his/her regular course of study. The matter was placed in the XXXVIII Standing Committee of the Academic Senate Meeting under table item no.1 and was approved. Under the circumstances as stated above, the Vice-Chancellor is pleased to approve the above proposal with effect from the examinations scheduled in -tile academic year 2018-19, subject to ratification by the Executive Council. 1. What happens if any candidate is unable to clear the backlog subject within six (one regular plus five backlog attempts)? Will it lead to cancellation of the seat? The seat will not be cancelled. The student will be allowed to write the supplementary exam in that subject. But the student needs to write the exam with the revised syllabus of the same subject as per the next successive regulations. 2. For clearing the backlog subject whether six attempts (one regular plus five supplementary) only are given with the original syllabus or more attempts may be given to some students? Every student shall be given a minimum of six attempts to clear the backlog subjects with the original syllabus. However if the question paper for that subject with the original syllabus is offered to next year batch students, the same question paper shall also be issued to the student who completed six attempts. For example, for giving six attempts to the students who are admitted in the year 2017, the students who are admitted in 2016 batch will get two more attempts as both the 2016 and 2017 batch students belong to same(R16) regulations. 3. In the successive regulations, the same subject is offered and the title remains the same but a large portion of syllabus is different. Even then the student need to write the exam with new syllabus? If the change in the syllabus is more than a specified threshold, the examination will be conducted in the subject with the old (original) syllabus only. The recommendations of the Board of Studies will be taken in this matter. 4. Suppose if the subject is not offered in the successive regulations, what will happen? The examination shall be conducted with the old syllabus until the student clears the backlog subject or within double the duration (or within double the duration plus two years as the case may be) which ever happens first. 5. If a student is absent (or not registered) for one or more exams, will it be counted as an attempt of the subject? Yes. It will be counted as an attempt. The count of number of attempts for each subjects is a batch-centric but not the student-centric policy. Hence even if any student is either absent or not registered, that examination series will also be counted as an attempt to determine the number of attempts. 6. Does the subject name and/or subject code changes if the student is unable to pass in stipulated attempts? The subject name and/or subject code does not change. Based on the conditions, the syllabus may moderately change as explained earlier. 7. From which season of examinations the new orders will be effective? From April/May, 2019 series examinations onwards the new orders will be effective. 8. How the information about modified syllabus does intimated to the students, if the syllabus of any subject is changed? At the time of issue of notification for the regular/supplementary series examinations, a table of subjects in previous regulations and the corresponding subject in the current regulations shall be communicated as an annexure. The detailed (new) syllabus of the corresponding subjects shall be made available in the registrations portal till the completion of the series of examinations. 9. If the syllabus remain same but the title is changed, what will happen after six unsuccessful attempts? The examination in the subject will be conducted with old title and old syllabus only. SIR IN THIS NOT MENTIONED ANY REGULATIONS…..FOR WHICH REGULATIONS IS THIS APPLICABLE …..PLEASE REPLY SIR????????????? Sir i need notifications to my phone am very much confused please could you me alerts. Sir , is this guidelines (notice of clearing backlogs in six attempts ) applicable for r13 regulation or from which regulation it is going to start ? For example it is given sir……..SIR IN THIS NOT MENTIONED ANY REGULATIONS…..FOR WHICH REGULATIONS IS THIS APPLICABLE …..PLEASE REPLY SIR????????????? SIR FOR R13,R15,R16,R18 SYALLUBUS WILL CHANGE SIR FURTHER……ANY NOTIFICATION WILL COME FURTHER SIR?if necessary PLEASE RELASE ANY NOTIFICATION RELATED TO THIS.EARLY EXAMS R NEAR…………PLEASE REPLY SIR…..
Sir, For R13 regulation students is this Guidelines will applicable? Please tell me sir…!